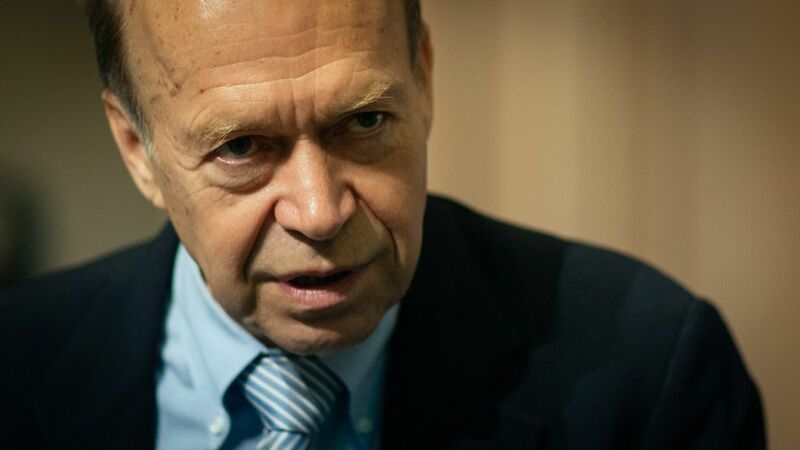 On 23 June 2008, Dr. James Hansen from the NASA Goddard Institute for Space Studies testified to the United States Congress about global warming. He argued that the climate is nearing dangerous tipping points. For instance, the Arctic soon will be ice-free in the summer, and the ice sheets above West Antarctic and Greenland are increasingly vulnerable. He warned that if emissions follow a business-as-usual scenario, a sea level rise of at least two meters is likely within a century. The result would be that hundreds of millions of people could become environmental refugees. On 8 July 2008, Dr. Hansen outlined his views on climate change at the UNU G8 Symposium on Innovation and Climate Change. We had the opportunity to interview Dr. Hansen and here is what he had to say. The key message from Dr. Hansen is that the safe level of atmospheric carbon dioxide is no more than 350 ppm (parts per million), and it may be less. However, carbon dioxide concentrations are already 385 ppm and rising about 2 ppm per year. So we have to get back to 350 ppm as quickly as possible. Professor Gwyn Prins from the London School of Economics also attended the UNU Conference and spoke about the limitations of the Kyoto Protocol. Rather than setting limits as found under the Kyoto agreement, he proposed that the best way forward is to focus on the supply side — the energy sources that drive our economies. In this context, he praised the approach adopted by Japan and talked about the new politics of opportunity as we try to shift energy sources to those that help bring about a low carbon world. These views were echoed by Ted Nordhaus from the Breakthrough Institute, co-author of “Breakthrough — From the Death of Environmentalism to the Politicis of Possibility.” He warned that with current trends we are likely to reach concentrations of CO2 in the atmosphere of 450 ppm by 2020. As such, the only way forward is to promote huge shared global investments in alternative, clean energies including nuclear, coal with carbon sequestration, wind and solar in developed and developing countries. David Stevens from River Path Associates raised the spectre of negative competition between nations initially in response to issues of resource scarcity and climate change. However, he is convinced that there is a tipping point at which countries will recognize that they have more to lose from this stance and that, unless they act in a constructive manner, there is a real danger that they will be left behind in the transition to a low carbon economy. This view was supported by Alex Evans from the Centre on International Cooperation at New York University. He talked about the inter-linkages between oil and food prices, and climate change. With reference to on-going climate change negotiations and the outcome at the next meeting in Copenhagen in 2009 he was rather pessimistic. He suggested that we need to invest, starting now, in a strategic conversation that goes beyond the small group of climate negotiators and that brings in new groups and new ideas to create shared awareness of the immense problems we face and that aims to create consensus on what we should do. Our next interview was with David Sandborn Scott, author of Smelling Land: The Hydrogen Defense Against Climate Catastrophe. He argues that the only way to get energy from clean, low carbon sources (like wind and solar) to services (like transportation and industry) is through hydrogen. Our final interview was with Prof. Shuzo Nishioka from the National Institute for Environmental Studies in Japan. He is the lead researcher for the Japan Low Carbon Society project and described the work he has been doing to evaluate the potential to reduce carbon dioxide emissions by 70 percent by 2050. Innovation and climate change by Brendan Barrett is licensed under a Creative Commons Attribution-NonCommercial-ShareAlike 3.0 Unported License. Based on a work at http://ourworld.unu.edu/en/innovation-and-climate-change/.